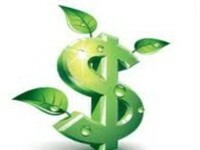 Home » Blog » Good news » Green Bonds Break Through in 2014! A new report from Sustainable Prosperity confirms that 2014 was a breakthrough year for green/climate bonds, both globally and in Canada. Watch Alex Wood – Senior Director, Policy and Markets, Sustainable Prosperity – discuss this on The Exchange with Amanda Lang.